Though cedar adds brilliance to the exterior of the house, still it has some drawbacks. Being natural it erodes, the color fades with time when it is exposed to harsh weather. It requires regular maintenance. It is not so cost effective. 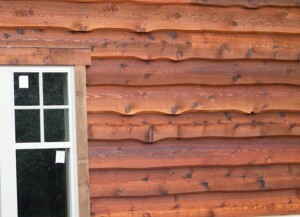 Cedar is rich in looks within itself, but presently there are alternatives present to cedar siding. It can be fiber cement, hardiboard and vinyl siding. The best competitor to cedar is fiber cement, though both are ‘green products’. Fiber cement replicates cedar so well that it is not so easy to determine whether the exterior is of cedar or any other material. Fiber can be drawn into boards, shakes, shingles, board and batten style. With respect to its surface one can achieve any type of roughness and smoothness on it. But discussing about the cost, neither of the two is cheaper. Both have flourished and rich looks and so the cost on the higher side. Fiber cement costs a bit more than vinyl siding, from 4$ to 7$ whereas cedar costs between 7$ to 13$. Talking about the durability, cedar needs a regular maintenance in every 3 years, but in case of fiber and vinyl the last for years. Only in special cases the need maintenance, but vinyl is easy to install and taken care for. Durability- it is the first parameter on which a siding should be checked. Durability refers to the resisting capacity of a siding in terms of pressure, heat and cold. In this vinyl and fiber cement are the best as compared to wood siding because wood needs a regular maintenance. Cost effectiveness- as compared to wood, vinyl and fiber cement have cheaper costs. Wood in a complete work adds thousands to the budget. Eco-friendly – though wood is completely green, but cement is also a good option for an eco-friendly product. Fiber cement is 2% less natural than wood. Maintenance – in terms of maintenance as wood needs to be taken care of in every 3 to 4 years, vinyl and fiber leads with a span of 30 to 45 years. The siding material should be easily installed without much work. Hence on the basis of the parameters one can decide to which type of siding he should go. Hardiplank is easier to maintain as compared to cedar and cheaper too. But hardiplank can’t compete with the cedar on the long run. Cedar can be water resistant, mite resistant and in case of hardi, it perhaps spill water behind it. Hardi consists of sand and cement, hence it is fireproof. But in case of cedar fire is a big issue. Hardiplank can be painted and has low maintenance. Many manufacturers give a warranty period of 40 to 50 years. It is fire proof and the best thing about hardi is that it is storm resistant and hailstorm resistant too. Just in case of installing, because of the fact that it is heavier than other slabs, it requires high installing cost and has to be painted regularly in time intervals of 5 years. Benefit and drawback can be varied and it depends on the material and climate conditions in which it is being used. Both cost more than vinyl and fiber cement. And we have discussed various products above Cedar and Hardiplank which can be used above them. One should consult a professional contractor before installing any of them.